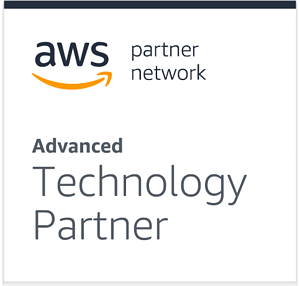 HELSINKI --- callstats.io, a leader in real-time communications monitoring and analytics services, announced an integration for Amazon Connect customers and its Standard Technology Partner designation in the Amazon Web Service (AWS) Partner Network (APN). The callstats.io integration enables Amazon Connect customers to monitor and analyze the quality of the telephony calls in their contact centers. It enables them to rapidly identify and troubleshoot issues that can affect the quality of voice communications. The solution embeds callstats.io monitoring capabilities into the Amazon Connect agent endpoint, giving contact center managers and engineers detailed visibility into the communications experience. They can rapidly detect communications problems, diagnose the root cause and help agents recover from them. Communications problems can occur anytime and anywhere in the network that connects agents to the Amazon Connect cloud service, causing a range of problems, including 1-way audio, echo and drop-outs. As agents increasingly work from home, the quality of network connections becomes increasingly variable and adds potential trouble-spots. When problems occur in any type of network, they can be notoriously difficult to troubleshoot without detailed call data. A comprehensive communications monitoring and analysis platform, callstats.io captures and analyzes up to 500 metrics every few seconds from the agent endpoint in an active communications session, in real time. It features a dashboard that enables users to quickly visualize communications performance, and artificial intelligence to help identify problems. A drill-down capability allows users to analyze selected calls in detail, and rich reporting functions identify important trends. The callstats.io SaaS product helps software developers, contact center operators and product managers monitor, analyze and troubleshoot the performance of their real-time communications services. Founded in 2014 and based in Helsinki, Finland, callstats.io was named a Cool Vendor in Unified Communications by research firm Gartner. The callstats.io product is integrated into a wide range of third party SDKs and popular CPaaS solutions, making it easy to add centralized call monitoring capability to a WebRTC application.